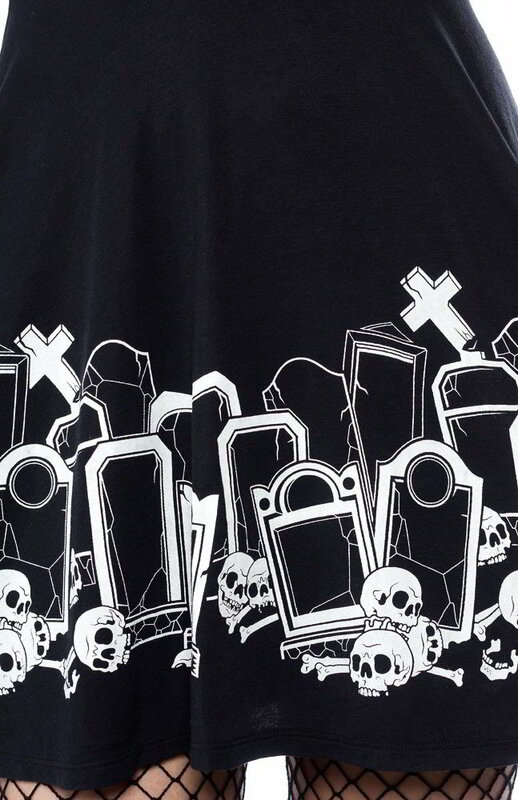 We don't always hang out in cemeteries, but when we do... we wear the Gravedigger Skater Dress! Be as macabre as you wanna be in this soft and stretchy skater dress with a fantastically ghoulish tombstone and bones border print. It's the perfect dress for your dark side! Sizes S - 3X available while supplies last.